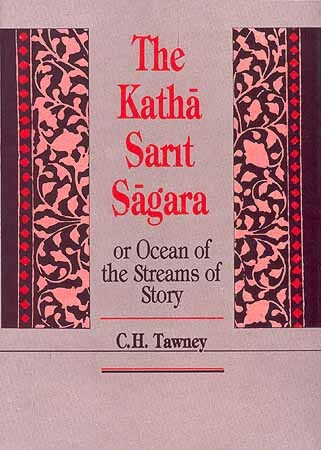 Kathasaritsagara (Ocean of rivers of stories) is a famous 11th-century collection of Indian legends, fairy tales and folk tales as retold by a Saivite Brahmin named Somadeva. Nothing is known about the author other than that his father’s name was Ramadevabatta. The work was compiled for the entertainment of the queen Suryamati, wife of king Anantadeva of Kashmir (CE 1063-81). It consists of 18 books of 124 chapters and more than 21,000 verses in addition to prose sections. The principal tale is the narrative of the adventures of Naravahanadatta, son of the legendary king Udayana. A large number of tales are built around this central story, making it the largest existing collection of Indian tales. It notably also contains the Vetalapanchavimsati, or Baital Pachisi, in its twelfth book. The Katha-sarit-sagara is generally believed to derive from Gunadhya’s Brhat-katha, written in Paisachi dialect from the south of India. But the Kashmirian Brhat-katha from which Somadeva took inspiration may be quite different from the Paisachi one as there were two versions of the Brhat-katha extant in Kashmir, as well as the related Brhatkatha-sloka-samgraha of Buddhasvamin from Nepal. Like the Panchatantra, tales from this (or its main source book the Brhat-katha) travelled to many parts of the world. The only complete translation into English is by C. H. Tawney (1837–1922), published in two volumes (1300 pages in all) in 1880. This was greatly expanded, with additional notes and remarks comparing stories from different cultures, by N. M. Penzer, and published in ten volumes (“privately printed for subscribers only”) in 1924. Nice to see the links and some words I added on Wikipedia appearing here. 🙂 Thanks. Glad to know you wrote the entry in Wikipedia about kathasaritsagara. I checked out your blog, only those posts tagged Sanskrit – it is very interesting. Have you read Sriramodantam (it is usually taught to Sanskrit students in Kerala)? I am translating it into Malayalam and have a few doubts? Hello… I also have heard of the Ramodantam but have not been able to find it. There is a translation online here, but it does not use any standard transliteration and it is impossible to recover the Sanskrit from it accurately. However, there also seems to be another effort by some Samskrita Bharati students here with some initial posts, and then continued on the Yahoo group here. This seems to contain all the verses if you look through the archives. Ideally, someone with the patience should (take permission and) compile all of them together… maybe I’ll do it myself someday! I commend who run this website on such a marvellous work, I’d like to know who is he? I wish to had the following books which I don’t get anywhere, I need to be helped on it, friends. And any book on vikramditya of ancient times < 100 BC ! Giving below links to those books which are available at Digital Library of India and other sources on the internet. Only fragments of Devi Chandraguptam of Visakhadatta are available in manuscripts. So, it is still unpublished, as far as I know. The Navasahasankacharitam., 99999990077491. Gupta, Acharya Parimala Padma. 1963. sanskrit. Literature. 388 pgs. Krishna_Charit_(1980)AC_566., 99999990035008. . . hindi. . 549 pgs. asokavadana., 99999990841328. mukhopadhyaya, sujitkumar. 1963. sanskrit. sanskrit literature. 265 pgs. Hiii I am looking for brihathkatha manjari in English or kannada ..Can Anyone help?? There is one written by shrinivas iyengar I heard.. No more information available.. Can anyone pls help?? The author of this work is the Forty-Sixth Peetadhipadhi of Shri Kanchi Kamakoti Matam in his poorvaashrama. Bhoja Maharaja in recognition of this work gave him a palanquin with pearls and requested that he conduct yaatras on the same. He attained siddhi at Arunachalam (also called Tiruvannamalai). just started to translate Kathasaritsagara into German. In case anyone is interested, don’t hesitate etc.